When we started out with AppTracker we were only tracking applications through their lifecycle. We're now hooking into multiple systems and tracking users, so the current dashboard can be limited. We're therefore very keen to build a completely new dashboard which is user-centric and highly configurable. We've made some good progress so thought it would be useful to share what we've built so far. 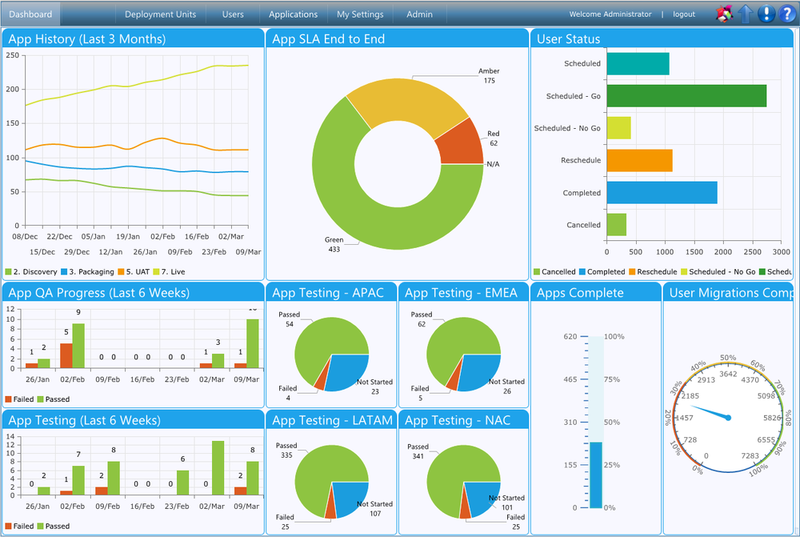 Pre-configured dashboards for different roles in the organisation will be available so the "Applications Team Lead" will see a different default dashboard to the "Programme Manager"
We are hoping to release this in Q2 2015. Here's a beta screenshot. Feedback is always welcome. Older PostWhat will a Windows 10 migration look like?